Hi everyone. Life happened so I wasn't able to update for almost a month. Also, I have noticed that it has been a while since I have reviewed a lipstick so now, I'm here to do so. 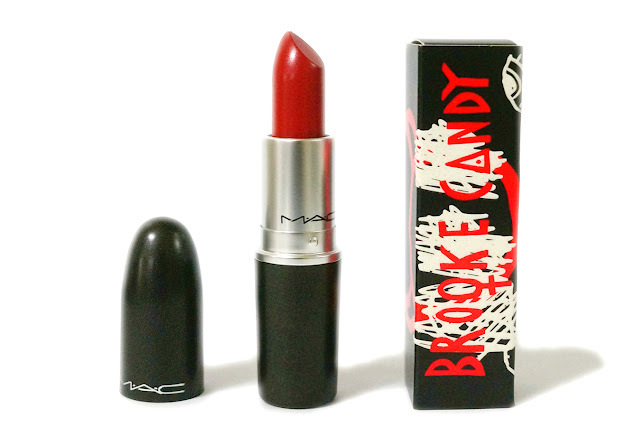 Today, I have a LE lipstick from MAC from their Brooke Candy Collection. I actually bought this last year (see Sneak Peek), but didn't purposely use it until today. 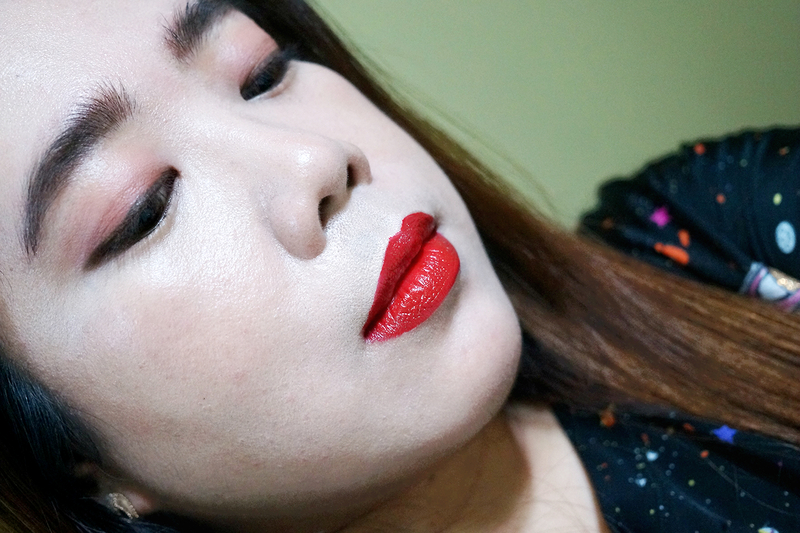 I think this red lipstick would be perfect partner for the rainy, overcast weather nowadays (and the months to come for sure). Mind Control is described as a "bright cherry red." 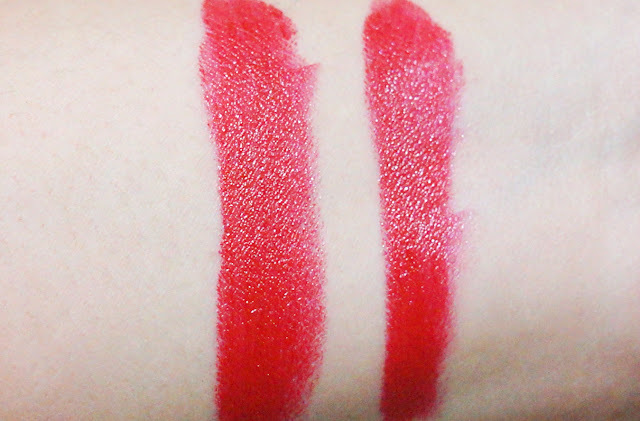 The color is a medium, bright red with slightly blue undertones and a creamy satiny texture. This has a very shiny sheen-y finish which I find interesting. This didn't come in any special packaging, just the usual black tube but with an outer box with the Brooke Candy label. 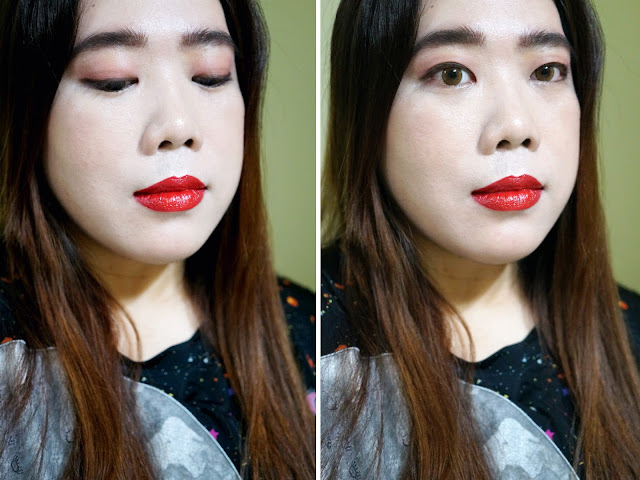 This is my first Amplified Creme lipstick so I don't have any prior experience with the formula. I'm happy to say that I'm not disappointed with the color-payoff. 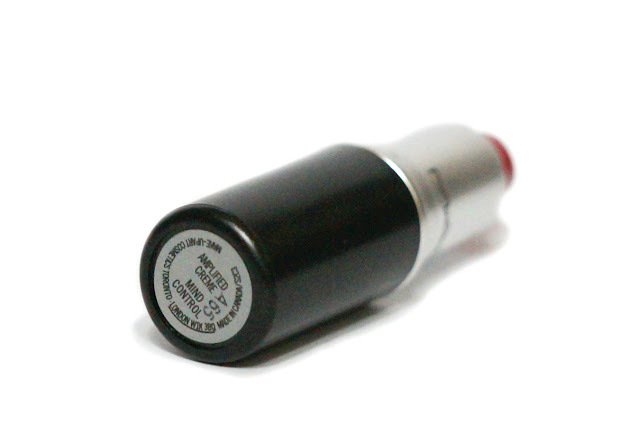 This lipstick has very opaque coverage, with full color in a single layer. Since the lipstick is already very pigmented, adding a second coat doesn't change the opacity so building it up would be quite a moot task. 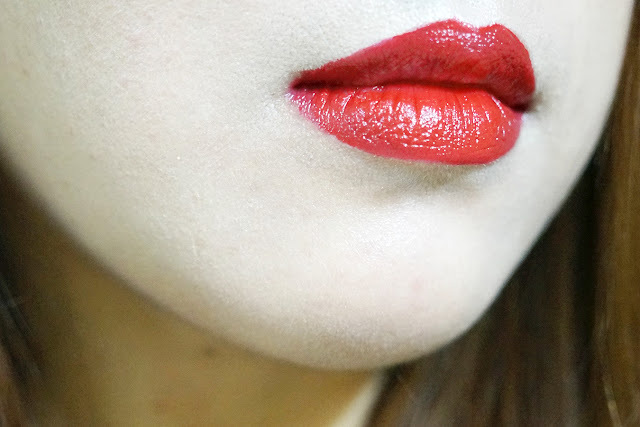 I have been a fan of MAC's Matte formula, but the Amplified Creme comes in at a very close second. You certainly get maximum color impact with minimal effort plus a some shine (for those who don't like the matte look). 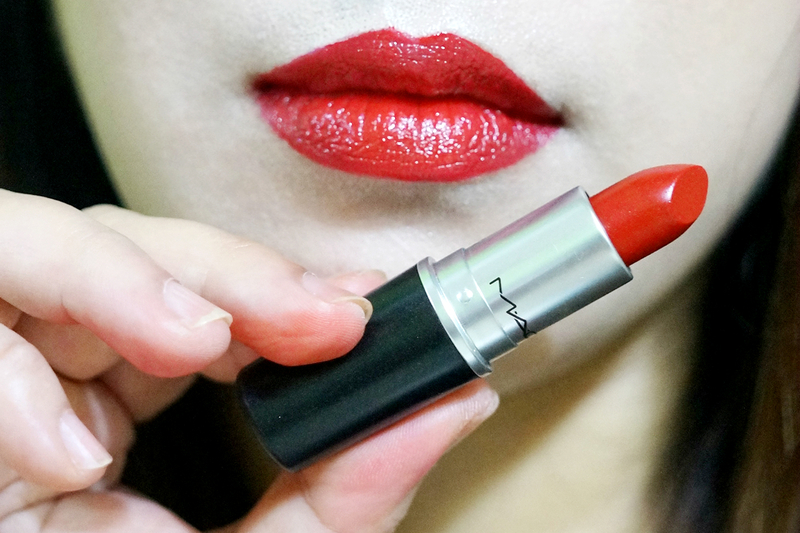 This lipstick also feels more comfortable on the lips. It applied smoothly and evenly. Application was a breeze as the lipstick glided across with almost no tugging. 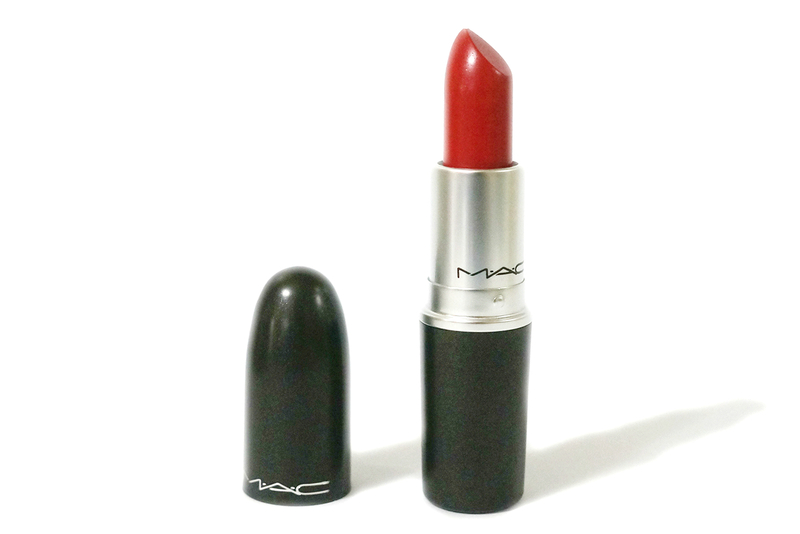 It feels light on the lips and was slightly moisturizing. I didn't notice any settling along the lip lines nor did it cling on to the flaky bits of my lips. The shiny finish also added depth, which made my lips look fuller and "pouty." Wear time is longer than average. It lasted up to five hours on my lips through a light meal and a drink. This will of course transfer due to the creamier formula, so it you are eating a lot, you can expect to re-apply more often. This also left a slight stain on the lips.